TORONTO - The loonie tumbled more than two US cents Thursday as a gloomy assessment of the American economy sent commodity prices reeling and currency traders running to the safe haven status of the U.S. dollar. The Canadian dollar fell 2.08 cents to 97.33 cents US after going as low as 96.51 cents US, its lowest level in about a year. The currency closed below parity with the U.S. dollar on Wednesday for the first time since the end of January. Traders fled from risk and into U.S. Treasury bonds after the U.S. Federal Reserve said Wednesday that there are "significant downside risks to the economic outlook." The Fed statement came as the central bank took steps to stimulate the economy that had largely been expected. But investors were troubled because the central bank's statement showed it expected a deep and persistent downturn. "We had a very negative reaction to the Fed's actions," said Mark Chandler of RBC Dominion Securities. "I suspect it was simply a fact of the emperor's clothes — that people are worried that the (Fed's) tool chest is quite bare for policy-makers to do much at this stage." Rising global economic uncertainty has pushed investors to the greenback as it is perceived as a safe option during times of financial turbulence. Whenever there is a flight to quality towards the U.S. currency — even amid a slumping American economy — the Canadian dollar usually gets caught in the crossfire. Besides a move towards the greenback by international money traders, falling commodity prices have also hit the Canadian currency, which is seen as linked to the price of oil, minerals and other resources. "Risky assets in general — and people usually keep commodities within that group — are under pressure and as long as that continues it will just exacerbate the weaker move of the Canadian dollar," added Chandler. Demand concerns and a rising U.S. dollar sent oil prices plunging below US$81 a barrel, extending losses from the previous session as worries about much lower demand sent the November crude contract on the New York Mercantile Exchange falling $5.41 to US$80.51. A stronger greenback usually helps depress commodity prices, which are denominated in U.S. dollars and a major influence on the Toronto stock market's main index, as it makes oil and metals more expensive for holders of other currencies. Copper prices also fell sharply with the December contract 28 cents lower to US$3.49 after hitting a 52-week low of US$3.45. Demand has weakened for the widely used industrial metal. Oil prices are also declining as are prices of other commodities used in industry, construction and other sectors around the world. The slide in commodity prices also followed a comment from the chief executive of global mining giant Rio Tinto that some of its customers are asking the company to delay shipments of iron ore and other metals — the latest sign the global economic slowdown is squeezing the resources sector. "It is noticeable that markets are somewhat weaker," Rio Tinto CEO Tom Albanese said in an interview with the Financial Times of London published Wednesday. "In a few cases, customers are asking to reschedule deliveries. This is consistent with customers being cautious about the current state of business." Despite the flight to safety, gold prices also tumbled with the December contract on the Nymex down $66.40 to US$1,741.70 an ounce. 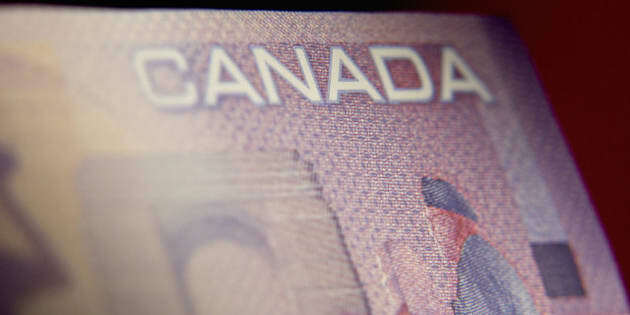 Chandler also believes that economic conditions will keep the Canadian dollar below parity for a while yet. "In the near term, there’s more scope for the Canadian dollar to weaken," he said. "If and when, the world gets a bit better news on growth, then you would see the currency drift back toward parity. But it may be a story that’s really for the early to mid-part of next year." There was also some disappointing news on the economic front as Canadian retail sales declined 0.6 per cent to $37.5 billion in July. The negative showing followed three straight monthly increases. Statistics Canada said lower sales were reported in seven of 11 subsectors, with vehicle and parts dealers accounting for most of the decline. Excluding vehicle and parts dealers, retail sales were flat.